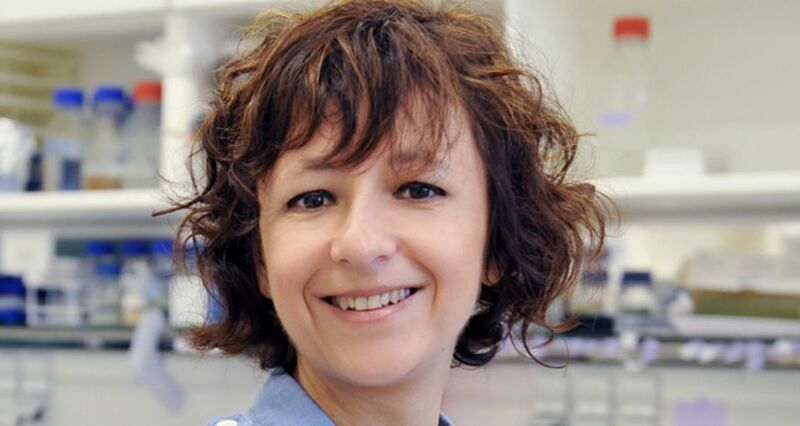 They get rid of their enemies by cutting up their genetic material: Emmanuelle Charpentier used this simple trick employed by bacteria and revolutionised the field of molecular biology. Paris, 1981. Twelve-year-old Emmanuelle comes home from school. Her favourite subject was taught today: biology. The girl says to her mother: "One day I will work at the Institut Pasteur!" A self-assured prediction, but years later, Emmanuelle Charpentier indeed completes her doctoral thesis at this prestigious Parisian research centre. What the twelve-year-old girl could not foresee, however, was the fact that, 30 years down the line, she, a seasoned biologist, would trigger a small revolution. At that time, Charpentier focused on how bacteria combat viruses. They get rid of their enemies by simply cutting up their genetic material. Could such a cutting mechanism be reproduced? The researcher knew how many of her colleagues were busy with dissecting sections of genes, removing, inserting and correcting certain sections. So far, this would take them many months, a very fiddly job. Charpentier's ambition: to first understand the bacterial cutting mechanism, then to reconstruct it and turn it into a kind of universal tool. Genetic manipulation would be rendered much faster than hitherto possible. This would open up new forms of treatment, for example, in the therapy of human congenital diseases. The problem: "Although we had discovered how the immune defence works in bacteria and how we could use this to create new technology", she reminisces, "I did not have the last component to make the system work for a whole range of different cells and applications." She finally deciphered this last component in the far north of Sweden. After working in the USA and Austria, she relocated to the University of Umeå, where she found exactly the right kind of environment for her basic research. The financial conditions were excellent and the university had a strong focus on microbiology. Charpentier was given the freedom to pursue also high-risk and labour-intensive projects, such as her DNA scissors. Indeed: in 2012, the scientist published a complete set of instructions for the cutting mechanism in the professional journal Science. Since then, scientists around the globe have been using this new system. The technology developed by the former biology "A" student is conquering the world. In early 2013, Charpentier moved to Braunschweig, where the 45-year-old headed the Department Regulation in Infection Biology at the Helmholtz Centre for Infection Research. The French scientist accepts the fact that, as part of her job, she has to move frequently, has to repeatedly adapt to a new language, a different culture. "That made me more creative, consistently gave me new impulses", she says. This is why she urgently advises her doctoral candidates and post-doctoral researchers to spend time abroad. She almost preaches the notion that opportunities must be grasped. "Some people fail to see good fortune even when it pinches them on the nose. You have to prompt it and then grasp it." To never leave the country, to perceive science as a nine-to-five job – that does not work, she says. "This is not how to carve out a career. One has to realise that the competition is hard." By now, at the Hannover Medical School, Charpentier holds one of 40 highly endowed Humboldt Professorships – the third woman next to 37 men. Does this not automatically call for a quota regulation? No, thinks Charpentier: "This kind of positive discrimination would rather serve to harm women. I fear that their research would be seen as second class." Yet she does observe that women have to be better than their male colleagues in the same position. The petite woman appears far younger than mid-forty with her dark-brown, short curls and open smile. She used to dance a lot, ballet. Each day, she cycles to work, twelve kilometres in total. "I have to get rid of my energy", she says. "You see, I have plenty of energy." Every now and then she lets off steam at a rock concert. "Then I might well find myself in a throng together with a thousand kids. I have no problem whatsoever with that", she says with a laugh. Yet Charpentier does not have much time for dancing. In addition to her research, she recently co-founded a company. CRISPR Therapeutics aims at developing therapies for life-threatening genetic diseases on the basis of her new technology. "I want to accompany my baby for a while longer", says Emmanuelle Charpentier. "At present, everything is happening so fast I hardly have time to properly digest it."